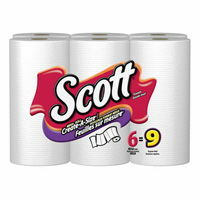 Scott Towels feature unique ridges that quickly and effectively absorb messes and leave surfaces clean and dry. That's why you and your family can count on Scott Towels to provide a sensible balance of value and performance. That's Cleanup Done Right.